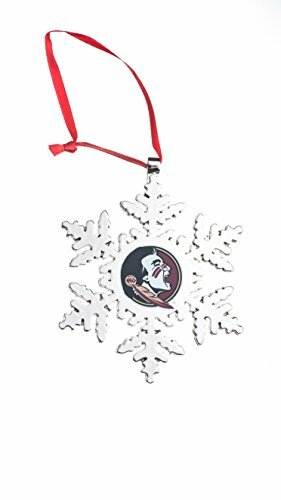 Celebrate your school spirit this holiday season with this officially licensed metal snowflake ornament! It’s made of metal with the authentic team graphics etched/engraved at the center of the snowflake. This is a beautiful addition to your home or office that will let your visitors know you’re a true fan!